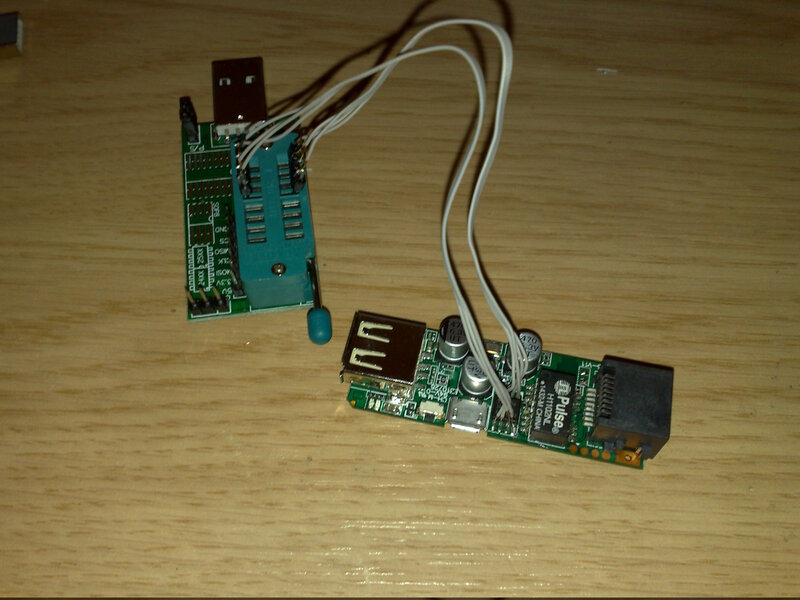 I n eeded to backup original firmware of my favorite Chinese wireless router but I didn’t want to spend much time with hacking the embedded Linux. So I have ordered this cheap USB serial EEPROM programmer on ebay. You can easily find the original utility & driver for Windows on the Internet but the chip manufacturer doesn’t provide software for Linux. The first one can be used for programming 24C… I2C EEPROMs. The second one is for 25Q… SPI flash chips so it was my choice. After compiling and connecting my chip, I was able to read info about my flash. Unfortunately, when I tried to read memory contents I was only able to get first few bytes of my memory, probably because the chip was detected incorrectly. So I forked the original github repo and added an option to manually set memory length. After setting the length manually, I was able to download complete data from my flash. Enjoy whichever method you like. You make super-utility for SPI-Flash. 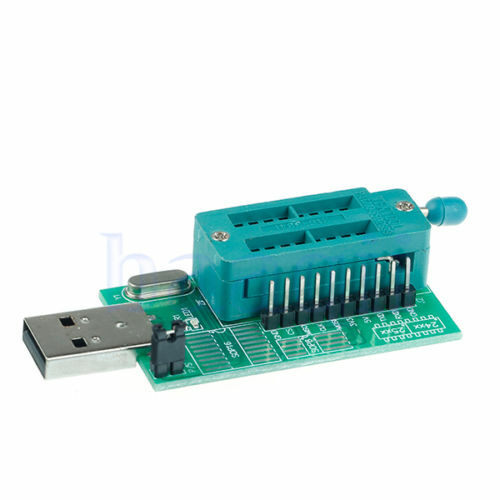 You can do it for 24Cxx-series EEPROM? I have w25q64 , can you explain more about reading ? Did you connect all pins? Some chips need to have /HOLD and /WP pins also connected to VCC. Fixed, do you possibly have the original firmware dump? that’s sad. did you check it after writing? I got it working now, I had to use the ch341 on a physical machine running linux rather than a VM. works on Black Edition ch341a!? Thanks for your work! I’m currently trying to disable the write protect on my Thinkpad 13’s W25X40CL. I’ve got the back popped off and can read the chip using flashrom 0.9.9 so I know it’s working. Can I use your programmer to disable the write protect, and if so how would I do that? I understand if I brick it, it’s on me. I appreciate the help! I busted out the multimeter and WP is tied to VCC. My understanding of the data sheet means the chip does not have hardware write protect, only software. Dave again. I had to add a few lines of code to do generic status register read/write. It’s a bit hacky but I was able to disable the software write protect! Thank you so much for your code! Couldn’t have done it without your work! If there’s a way to send you my code if you wanted to add it, just let me know how. Note that Flashrom – https://www.flashrom.org/ – also supports the CH341A (and is open source and runs on Linux). I’ve personally had better experience with it than with the tools listed here. Good to know, thank you. Thanks Daniel and Davin , this made my work a lot easier!